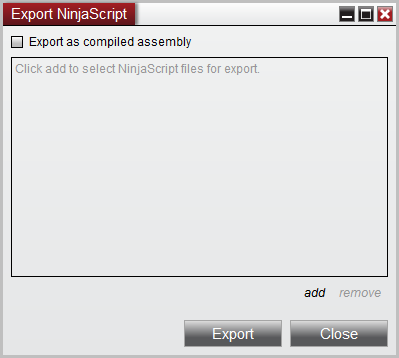 •Assemblies - A compiled assembly (DLL) of NinjaScript that "hides" your source code. This can be further protected by SecureTeam's Agile.NET to prevent theft of your intellectual property. You may want to provide other NinjaTrader users with source files of your NinjaScript in a format where they are able to view and edit them. Note: The NinjaScript Archive File (.zip) generated through this process is compatible with both 32-bit and 64-bit versions of NinjaTrader. 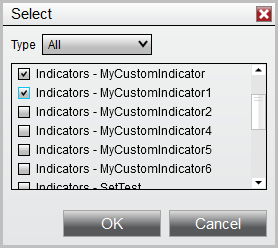 You may want to provide other NinjaTrader users with access to your proprietary indicators or strategies in a secure format preventing them from being able to see your proprietary source code. You can do this by exporting your NinjaScript indicators as a compiled Microsoft .NET assembly (DLL) file. 2.Select the option "Export as compiled assembly". 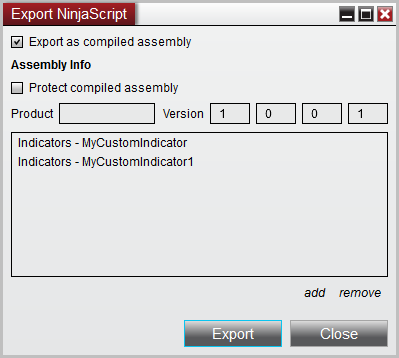 Note: When exporting a protected assembly the generated .zip is compatible with both 32-bit and 64-bit versions of NinjaTrader.